If you’ve missed the recent hubbub, Schitt is launching a line of drink coasters. It just so happens that these coasters double as unsupported DIY projects with scarce documentation. The schematic shows a 6418 sub-miniature triode direct connected to an AB push-pull transistor output stage (cap coupled). Power is a blistering 30V to the tube and 15V to the output stage, cleverly derived with a bridge doubler and regulated with LM317s. Schitt is hedging the product with extra coy advertising (AKA the Schitt Shtick) and reinforcing in several places that they are not a DIY company. Hence the product is a coaster, not a miniature hybrid amplifier. It will come at no surprise to Schitt when DIY documentation is created by early adopter hobbyist communities, I’m sure. What is it about Schitt’s non-committal and self-effacing copy that gets so many people so excited? Why did I just buy a small lot of 6418s? Why are coasters already on the way to me? I’m a believer in point-to-point construction, but not because I think it necessarily sounds any better. Point-to-point is simply the quickest and easiest way to try a new circuit. With tubes, high voltage caps, and through hole resistors, building without boards is straightforward (once you have some understanding of properly grounding circuits). When incorporating TO92, TO220, heatsinks, etc, a PCB starts to look much more appealing. Take advantage of the grid/snap spacing for layouts: I set my grid to 125mil (1/8″), the snap to 31.25mil (1/32″), and the alt snap to 12.5mil. 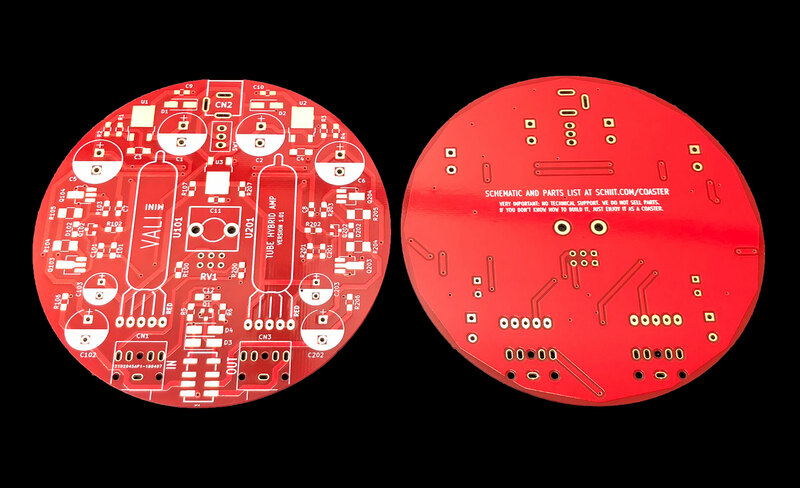 Don’t be shy about creating your own parts (this is the PCB Lib function)! April/May has been a whirlwind in the WTF Amps household, but we should be returning to actual building soon. I’ve got about 30lbs of transformers and aluminum plates impatiently waiting for some actual hobby time to shake out of my schedule. 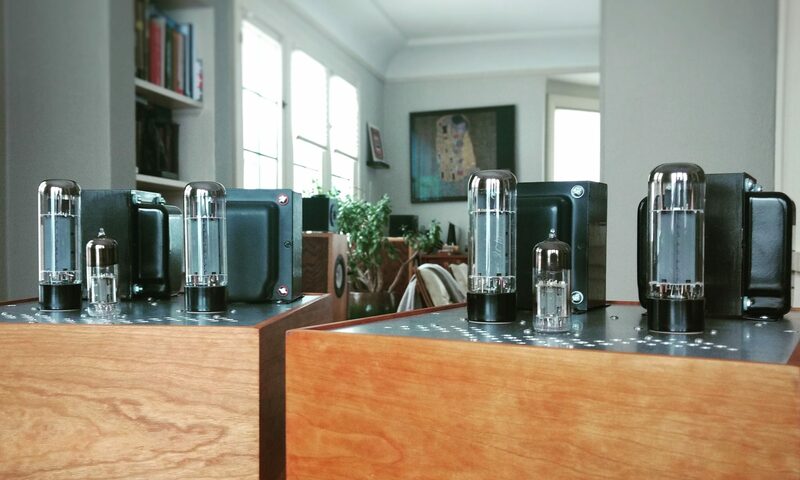 Big boy mono blocks.